CONTEXT: The CEDUS (French sugar professional association) Scientific Department performs a scientific watch and disseminates Nutrition news, regarding sugar and carbohydrates. These news are intended for health care or food industry professionals and published every 3 months. ORCHIDALI ACHIEVEMENT: We popularise scientific articles in order to make results of the last research studies on carbohydrates or food habits easy to understand in a 12 pages booklet. For each issue, we write 15 short articles and suggest meaningful titles. 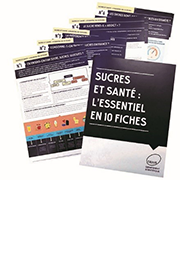 Find Nutrition news on sucre-info.com (in French). ORCHIDALI ASSET: We provide scientific knowledge in Nutrition to highlight significant research results. PERSPECTIVES: We can perform scientific watch, with regular reports, on your themes of interest. Grap’Sud is a union of French cooperative distilleries, specialised in the manufacturing and sales of grape by-products for nutraceuticals, food industry, agriculture, agro-industries and oenology markets. 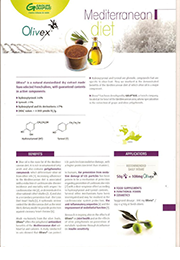 CONTEXT: Grap’Sud sales representatives need synthetic leaflets introducing the extracts and their health properties in order to communicate to the clients. These leaflets aim at valorising results of Grap’Sud research on ingredients, justifying their positioning in scientific context and highlighting perspectives. ORCHIDALI ACHIEVEMENT: We updated the literature review, wrote arguments based on the most relevant scientific results, in order to highlight health effects of Grap’Sud’s extracts and to valorise Grap’Sud’s research. ORCHIDALI ASSET: We place the scientific results of our clients in the scientific context by selecting the most relevant scientific data. We adjust the scientific argumentation to the type of target and provide advices according to European regulatory context on health and nutritional communication. PERSPECTIVES: Orchidali can set up a monitoring of the scientific literature in order to follow new results on a specific subject and detect opportunities of new research axis. Mondelēz International, Inc., is a world leader in chocolate, biscuits, gum, candy, coffee and powdered beverages with distribution in over 165 countries around the world. CONTEXT: Mondelēz International, Inc. has conducted over twenty years of research into starch digestibility in cereal foods and its impact on postprandial metabolic responses. The company took the opportunity of the 12th European Nutrition Conference that was held in Berlin, Germany from October 20th to 23rd to organise a scientific workshop for providing the most recent state of the art on slowly digestible starch and its health interest. ORCHIDALI ACHIEVEMENT: We supported Mondelēz International to set up the program, identify the speakers of the forum on the slowly digestible starch. We helped it to strengthen its contribution for increasing the scientific knowledge. We managed speakers and collected biographies, abstracts to be included in the leaflet for attendees. We ensured the scientific consistency and relevance across the presentations. We combined the texts of the speakers for preparing a conference report to be published in an international publication. 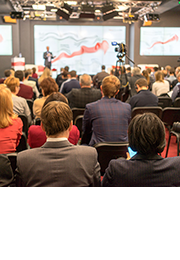 ORCHIDALI ASSET: Thanks to our expertise in nutrition and knowledge of the scientific community, we proposed experts and adapted symposium program to the professionals’ expectations. We ensured abstracts, presentations, texts of proceedings to be prepared in time. Our role was to build conditions that respect independency of the experts. PERSPECTIVES: We can also identify research teams involved in the scientific topic of interest for you, worldwide. We can organise meetings and research partnerships to go further.